Spend seven days hiking in the Italian Riviera and picturesque Cinque Terre. The Cinque Terre’s sun-soaked villages perched on Mediterranean hillsides redefine the meaning of the word quaint. Dramatic coastal scenery give way to medieval fortresses. Ripe, plentiful vineyards stand in stark contrast to harbors filled with gently floating yachts. Steep, ancient trails connect villages from Portofino to Portovenere. Knowledgeable guides lead us along the terrain, stopping to give us historical context and to remind us to enjoy the fragrant sea air. 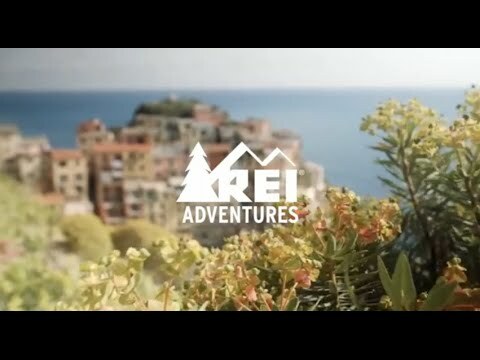 We embark on daily hikes along the cliffs of the Italian Riviera. Each village brings its own personality and spin on renowned Italian cuisine. Enjoy fresh, delicious seafood, warm Italian pastries and a glass of wine at the end of a long day. Each hike brings new views of the Ligurian coast and each evening gives us a chance to relax at a charming inn amongst new friends. This trip is rated Moderate  with some days tending towards a Moderate Plus [3-4]. Trip members should be capable of hiking up to 9 miles (up to 6 hours) without major discomfort over terrain with some steep grades, including 45 minutes of continuous stairs. Many sections of the trails are rocky and uneven. Trekking poles are highly recommended. Hotel accommodations with private baths; meals as noted in the daily itinerary; guide/leadership; luggage transportation; all transportation including trains, boats and buses as per the itinerary; group transfer from Portovenere to La Spezia train station at trip's end. A warm-up hike offers dramatic views of the sparkling Ligurian Sea. Our trip begins today in Santa Margherita, Italy. Santa Margherita, known for its orange blossoms and beachfront promenade, is a lovely coastal town on the Ligurian Sea approximately 20 miles southeast of Genoa. Plan to arrive early in the day; many travelers take a train from Milan, Pisa or Genoa. Transfer on our own to our hotel and meet your trip leader and traveling companions for a warm-up hike up and over the hill to Portofino. This picturesque village has a castle atop the hill, overlooking a harbor ringed by pastel-colored houses. Our hiking start time is 2:30pm. A group orientation will be held during dinner. Overnight in Santa Margherita for the next two nights. Dinner included. Hiking: 3.8 miles, 2 hours; Terrain: Steep trail sections and stairs. Cumulative elevation gain: 1,100'. Hiking along the cliffs of the Italian Riviera leads to colorful Portofino. This morning we have a short train transfer to the town of Camogli from where we set off for a full day hike along the seaside cliffs of the Italian Riviera. Weather permitting, we descend to the 13th –century Abbey of San Fruttuoso where we enjoy lunch and a swim at this exquisite beach and bay that is only accessible by foot or by boat. We continue our hike by ascending from the Abbey and traversing a scenic ridge with magnificent views that alternate between the sea and the coastal mountain range whose flank is dotted with villages and hamlets. Our route serves as the perfect scenic introduction to this marvelous region. Breakfast and dinner included. Train: 5 minutes; Hiking: 6-8.7 miles; 5.5 hours; Terrain: Rolling pathways, rocky trails, and some steep trail sections as well as a 45-minute continuous uphill climb. Cumulative elevation gain: 2,000-2,300'. Walk from Levanto to Monterosso with views of the Cinque Terre coast. A transfer by train this morning brings us to the village of Levanto, once a walled town and major stronghold of the Genoese. We leave Levanto on foot and walk to Monterosso. The walk takes us gradually up and over a peninsula, rewarding us first with fine views over Levanto's medieval walls and tiled roofs, and eventually the whole stretch of the Cinque Terre coast is laid out before us. We'll arrive in Monterosso this afternoon; you'll have time to enjoy a swim at the sandy beach or wander through the quaint streets to find a pleasant cafe where you can watch the world go by. Tonight we have a pesto-making demonstration followed by dinner. Breakfast and dinner included. Train: 1 hour to Levanto; Hiking: 5.6 miles, 3-3.5 hours; Terrain: Long, steep pathways and stair sections with a 45 minutes continuous uphill climb, rocky trails, and rolling hills. Cumulative elevation gain: 1,968'. Hike through ancient villages and olive groves. This morning we'll continue our walk along the coast. Our first stop is Vernazza, one of the most photographed villages in the Cinque Terre. From here, an optional hike to Corniglia offers views of the deep blue sea as we travel through terraced olive groves. We continue to Volastra, an ancient village surrounded by terraced vineyards and olive trees. Our hike ends at the seaside village of Manarola where we have time for a gelato before taking the train back to our hotel in Monterosso. We dine independently tonight giving us the opportunity to choose from a variety of authentic local trattorias and cafes. Breakfast included. Train: 8 minutes to Monterosso; Hiking: 7.6 miles, 4-4.5 hours; Terrain: Some long, steep trail and stair sections with a 45 minutes continuous uphill climb, rocky trails, and rolling hills. Cumulative elevation gain: 2,864'. Optional hike from Vernazza to Corniglia: 3.1 miles, 2 hours; Terrain: Some long, steep trail and stair sections with 15 minutes continuous uphill climb, rocky trails, and rolling hills. Cumulative elevation gain: 1,295'. Hike through chestnut and pine forests to lovely Portovenere. We begin the day with a short train transfer to Riomaggiore, the starting point of our hike to Portovenere. Our route takes us through majestic pine and chestnut forests, we hike past cork trees, a medieval sanctuary, and finally to a 16th-century Genovese naval fortress that once protected Portovenere from marauding corsair pirates. In late afternoon, we check into our hotel and have some free time to explore the cobbled streets of this picturesque seaside village. Dramatic cliffs plunge into the blue waters of the Mediterranean in a setting so beautiful that Byron, Shelley and D.H. Lawrence succumbed to its charms. Overnight in Portovenere. Breakfast and dinner included. Train: 15 minutes; Hiking: 9 miles, 4.5 hours; Terrain: Rocky trails, rolling and steep trail sections including a 40-minute continuous uphill climb. Cumulative elevation gain: 3,200'. Hike on the island of Palmaria, a short boat ride from Portovenere. Our final day starts with a boat ride around the nearby island of Palmaria and smaller islands of Tino and Tinetto. Landing on Palmaria, we walk around the island on a wooded path passing Napoleonic-era forts and an ancient marble quarry which for centuries provided the rock for La Spezia's grand Palazzi. We'll return to Portovenere mid-day and have some free time before dinner to explore or go for a swim in the "Poet's Grotto". Tonight, we'll drink a toast celebrating new friendships before enjoying dinner together at one of the lively restaurants in town. Overnight in Portovenere. Breakfast and dinner included. Boat: 8 minutes each way; Hiking: 3 miles, 2.5 hours; Terrain: Pathways and rocky trails with short, steep sections. Cumulative elevation gain: 636'. Arrivederci to our traveling companions as our trip ends in La Spezia. After breakfast, our adventure ends with a private transfer to the La Spezia train station. We plan to arrive at 9:45 a.m.; please do not schedule rail departures prior to 10am. Breakfast included. Air transportation to Italy; transfer to hotel in Santa Margherita and from La Spezia to departure airport; entrance to museums, theaters, visitor centers; 5 lunches and 1 dinner; gratuities; alcoholic beverages and other items of a personal nature. In May and June, the climate is generally sunny and warm with daytime temperatures in the 80s and evening temperatures dropping 10-20 degrees. Rain showers are a possibility but typically do not last longer than a few hours. September and October weather is similar, but temperatures can be slightly cooler with fewer daylight hours. Manu has led trips in the Cinque Terre since 2000. She is an REI Top Guide and a certified environmental guide with a background in wildlife biology. A native Italian, Manu is also fluent in English and French, and has a passion for nature, food and wine. Marco is from Florence but now lives in the Tuscan hills above Lucca. He loves to travel and has hiked in such varied places as the Sahara, the Amazon and Nepal. He began guiding in 2008. When not traveling, he's an artist and ceramicist in his home studio. Our guides are what make this trip unique amongst all others.They have forged longtime friendships with the locals which allows us insight to the culture that you wouldn't get on your own. They also know the best places for limoncello!